The York Active 120 is a compact size exercise machine ideally suitable for shorter users thanks to its 12” stride length. It is equipped with a 7kg (15.4lbs) flywheel that ensures smooth ride, whereas its magnetic resistance system offers an impressive choice of 16 resistance levels. 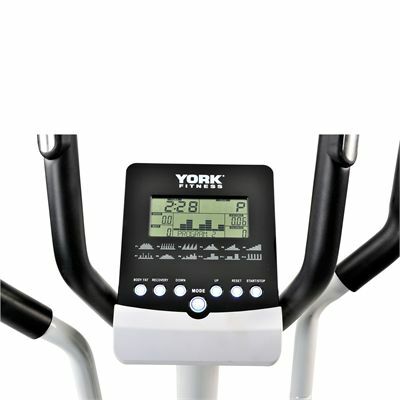 The cross trainer’s computer with a 5.75’’ LCD display enables choosing between 18 motivating workout programmes, including 12 pre-set, 1 user, 1 manual and 4 HRC programmes. A choice between fixed ergonomically designed arms and moving handlebars allows for a more varied and comfortable workout, while built-in hand pulse sensors enable instant heart rate measurement. for submitting product information about York Active 120 Cross Trainer We aim to answer all questions within 2-3 days. 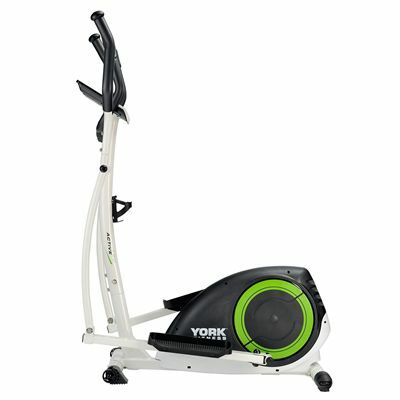 for submitting product information about York Active 120 Cross Trainer. We aim to answer all questions within 2-3 days. If you provided your name and email address, we will email you as soon as the answer is published. Is it possible for someone to assemble on delivery in upstairs room? We do have an assembly service, however, this is a chargeable service. 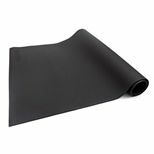 Please email our sales department and they will devise a quote for you. The cross trainer arrived on time and took an hour or so to put together. The instructions were easy enough but it did need two people. The water bottle is positioned a bit too low and keeps getting in the way of my knees. 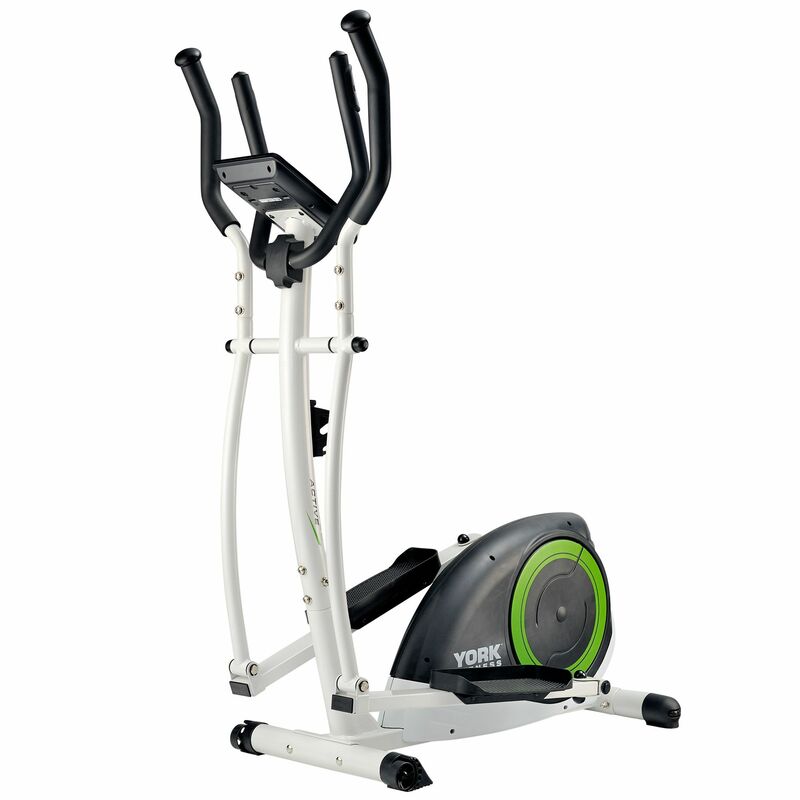 The display is quite informative and has the option to increase the tension on the wheel fast and easily. My main issue is just how much it creaks. Maybe it's the way I am using it, but then I've been using cross trainers in the gym and they've been fine. I think the central bar, on which the screen monitor sits, creaks a lot. I've tried adjusting the screws holding it together a few times but still the noise is pretty loud. I did think it was a good price for the features included compared to other similar. 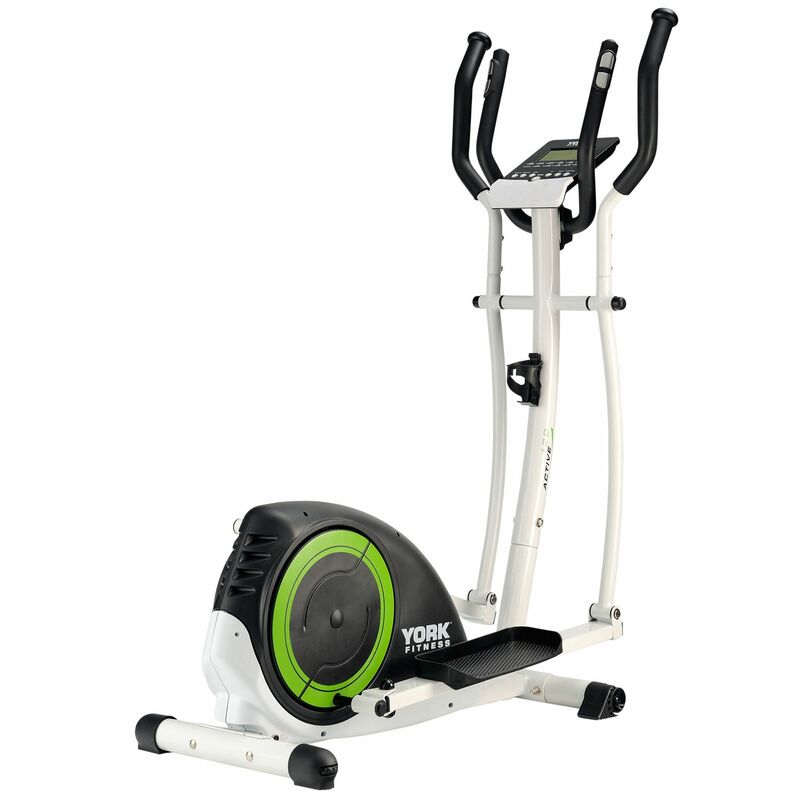 for submitting product review about York Active 120 Cross Trainer.